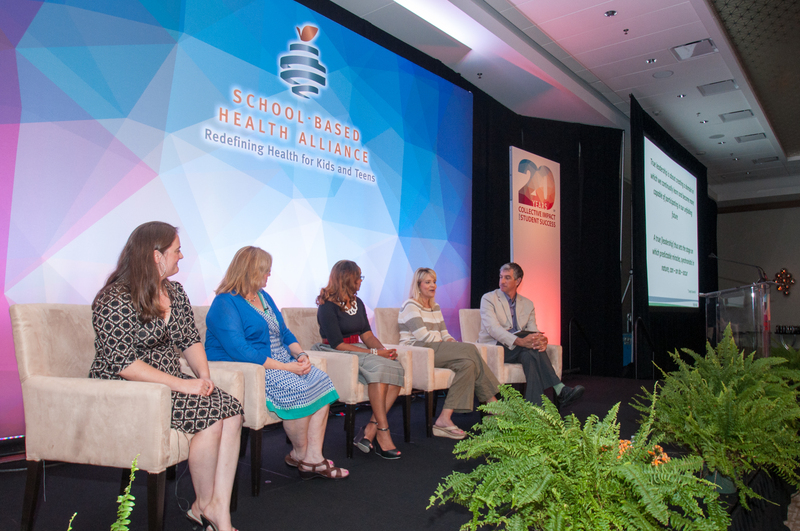 LFP members at a panel presentation during the 2015 National School-Based Health Care Convention. The school-based health care movement began approximately 30 years ago. While many of the early advocates and leaders remain in the field today, a large segment of our leaders are or will retire soon. This exodus will result in the loss of many key experts who are most knowledgeable about the unique aspects of providing high-quality, comprehensive, and culturally-competent health care in schools. In 2014, the School-Based Health Alliance launched our first cohort of Leadership Fellows to develop the next generation of school-based health care leaders. The second cohort launched in early 2016. The program is designed for participants who are early to mid-level in their careers and feel strongly that accessible, quality health care should be provided for children in schools. The main objective of the LFP is to foster and mentor a new network of emerging leaders who will take responsibility for growing and sustaining the field. Program faculty and mentors will provide participants with the knowledge they need to engage in policy and administrative efforts to ensure that school-based health centers (SBHCs) flourish throughout the country. In addition, fellows will develop relationships with others in the field, providing them with a cohort of colleagues to rely upon for sharing best practices and providing support as they continue their career progression in school-based health care.